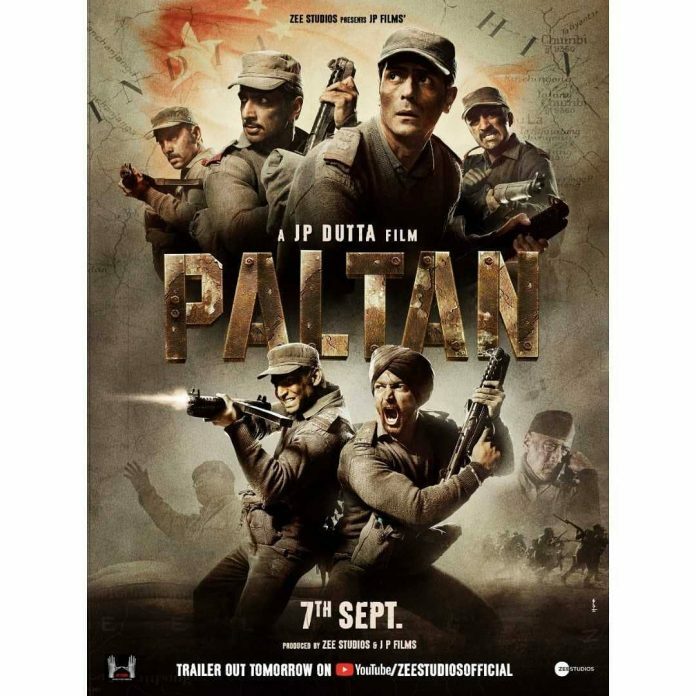 Makers of Paltan unveiled the first official poster of the war drama flick by J. P. Dutta. Paltan is one of the much awaited war films by the filmmaker who has earlier delivered some of the hit films like Border, LOC Kargil, Refugee and Umrao Jaan. The upcoming film will also have a huge cast. The makers had earlier unveiled the first looks of each of the main leads. The first poster was shared by trade analyst Taran Adarsh through his Twitter account and wrote, “#PaltanTrailer out tomorrow… Presenting the first look poster of #Paltan… Directed by JP Dutta… 7 Sept 2018 release.” The trailer of the film will be unveiled on August 2, 2018. The upcoming flick will be based on Nathu La military clashes during the 1967 that took place along the Sikkim border. Paltan will show how the Indian army fought with the Chinese forces at the border. The film stars Jackie Shroff, Arjun Rampal, Sonu Sood, Harshvardhan Rane, Gurmeet Chaudhary, Siddhanth Kapoor and others. Paltan will be releasing in theatres on September 7, 2018. The film is an ambitious war drama which has been in news for quite some time. Even Abhishek Bachchan was to be a part of the film and his exit from the film had raised many questions.